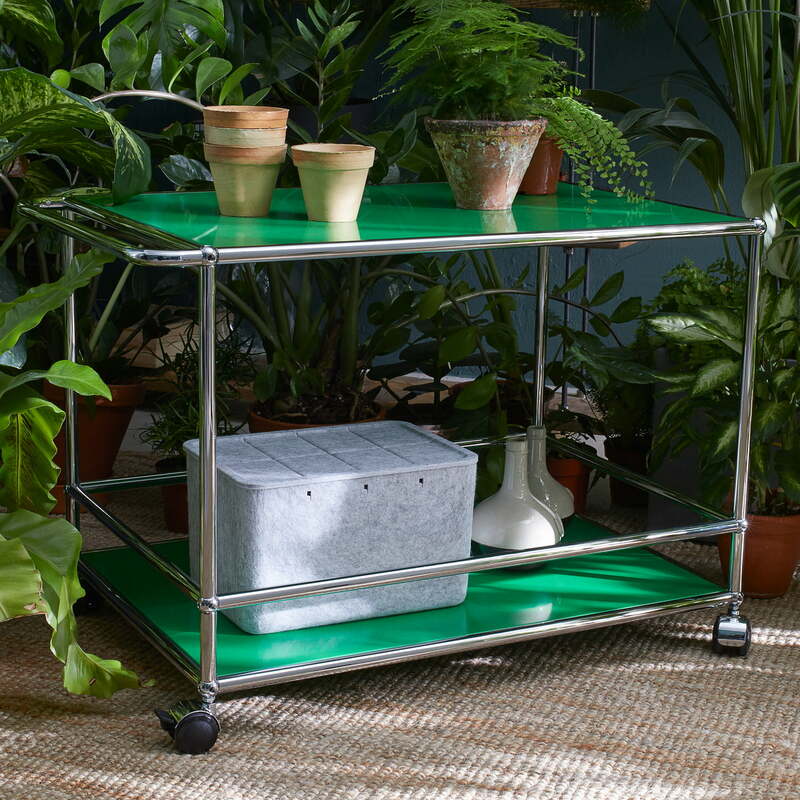 The trolley by USM Haller is a classic among the mobile storage solutions. 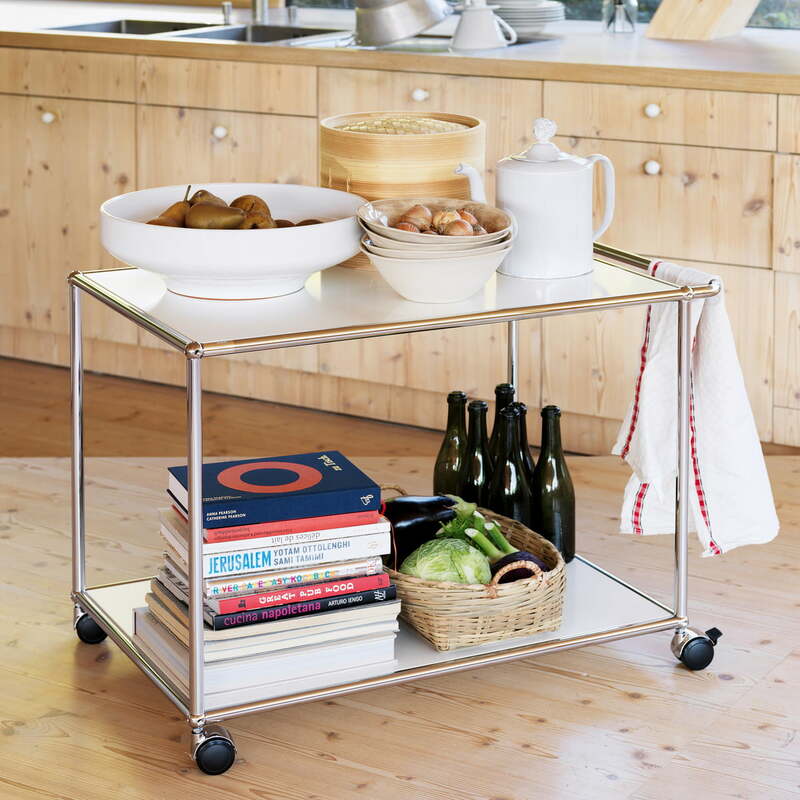 Used in the living room, kitchen or dining room, the trolley on wheels has enough space on its two tiers for dishes, books, cups, glasses, and much more. It is particularly useful to transport food from the kitchen to the dining table or serve as a simple piece of furniture for decorative and storage purposes. 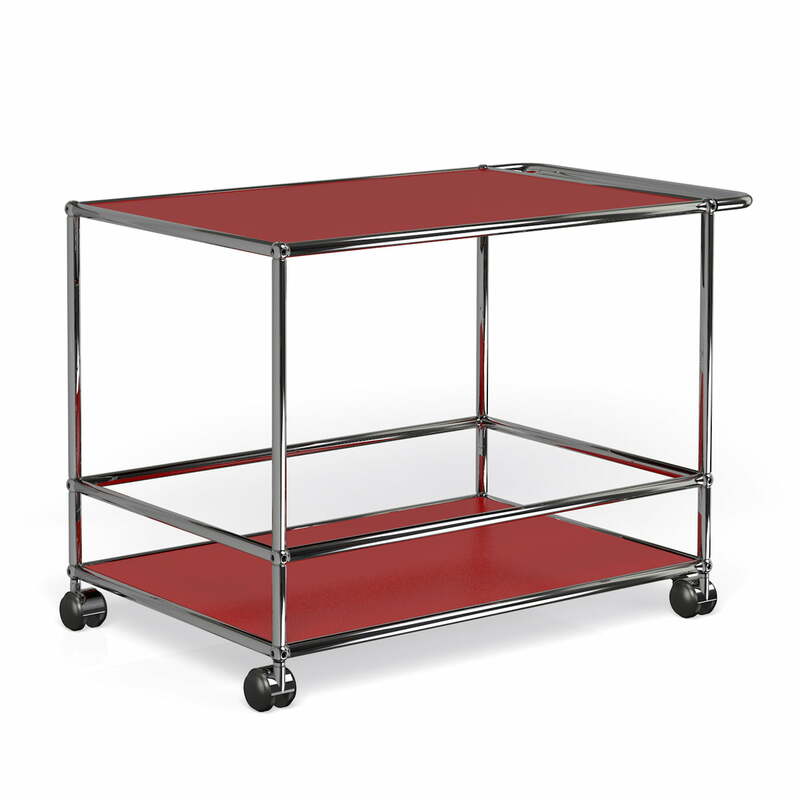 The serving trolley by USM Haller consists of two shelves made from powder-coated steel and the patented frame with the USM knot point made of chrome-plated steel. The four castors make it flexible and mobile, while the handle serves to pull and push the cart. 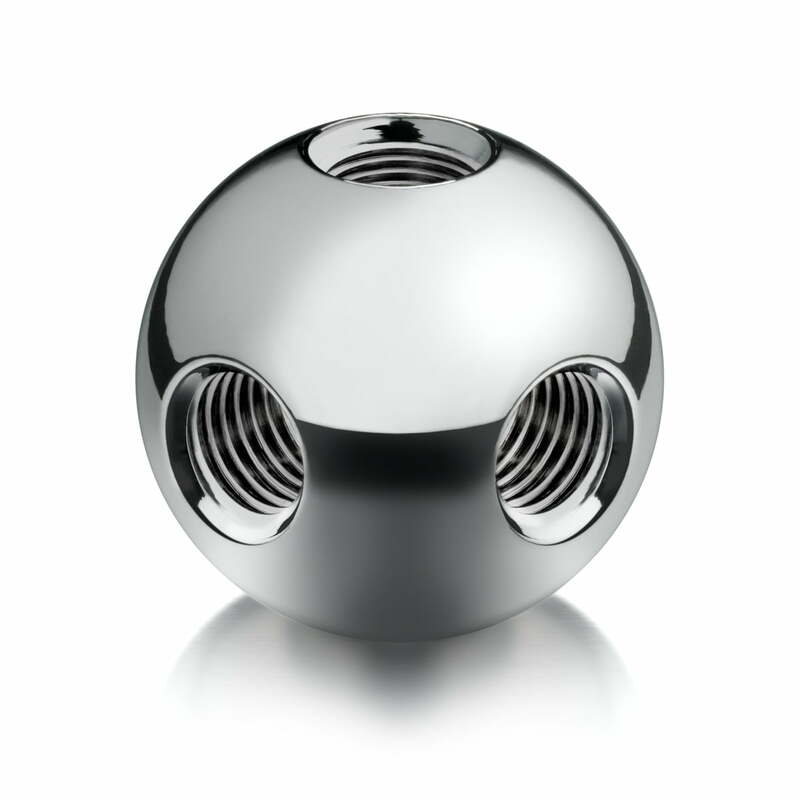 The four legs that form a border around the bottom shelf is another special feature. It ensures that glasses, bottles, etc don’t slip off during transport. The trolley is available in the classic USM colours, making it a timeless and iconic design object in any room. The serving trolley by USM Haller consists of two layers made of powder-coated steel and the patented frame with the USM knot point made of chrome-plated steel. Isolated product image of the Serving Trolley by USM Haller: The trolley is available in the classic USM colours, making it a timeless and iconic design object in any room. 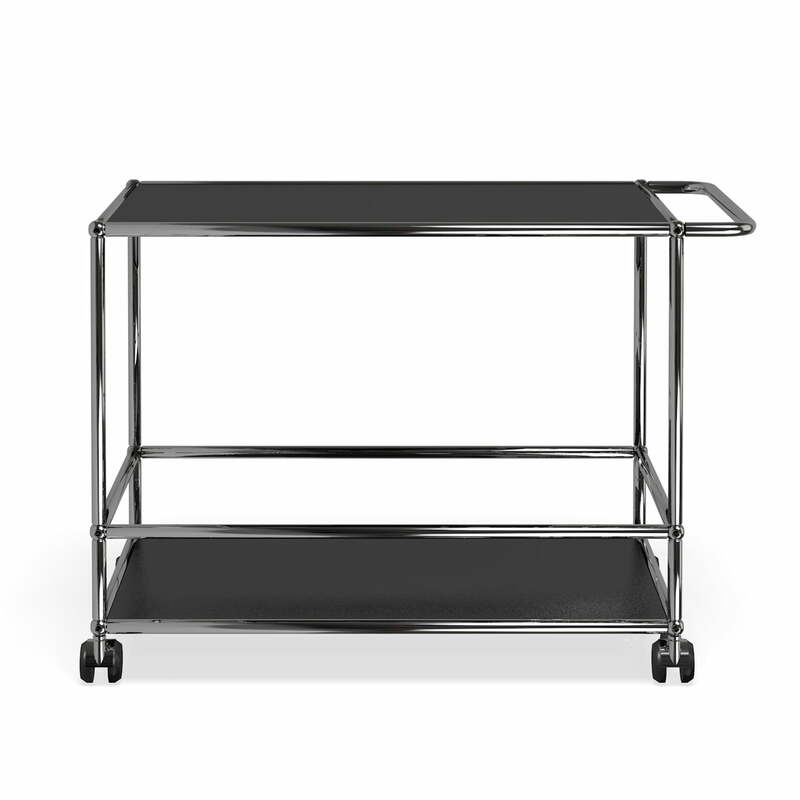 Lifestyle product image of the USM Haller - serving trolley, pure white (RAL 9010). Classically used in the kitchen, the trolley serves to transport food and dishes, but can also be used as a decorative shelf for cookbooks, wine bottles or fruit bowls.